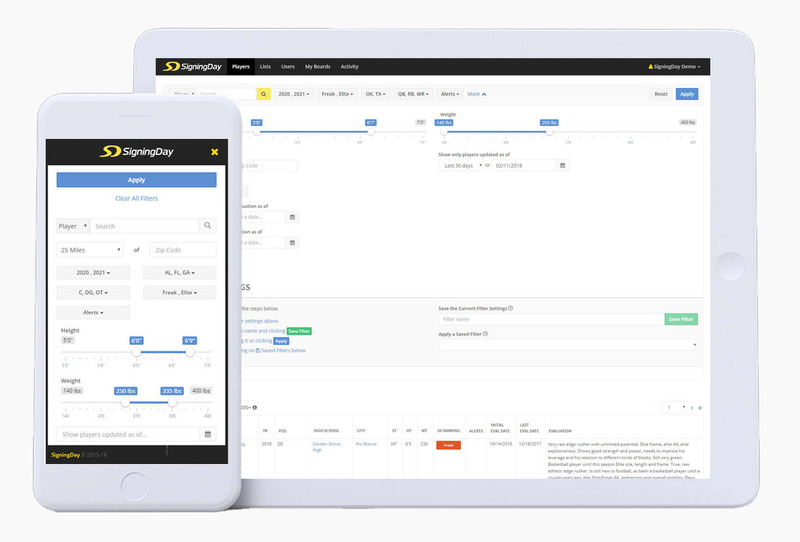 World-class technology and design, combined with full-time talent evaluators creates a superior player database for team recruiting needs. 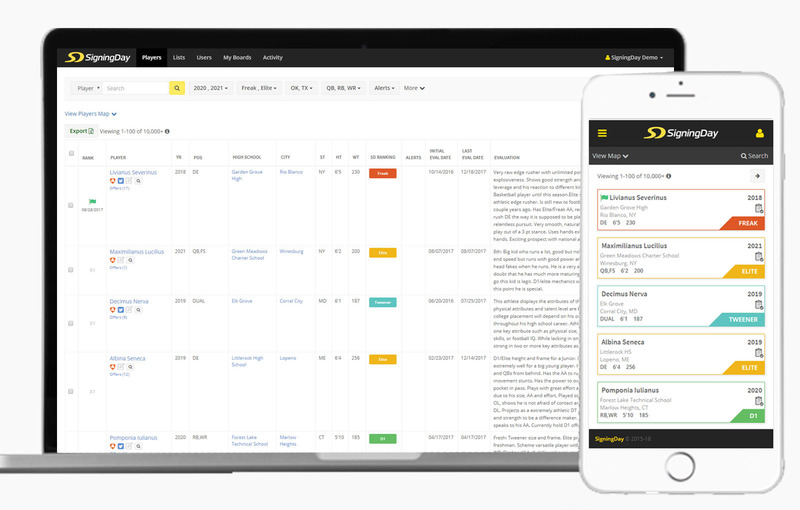 We search all public records and filter through over 200,000 potential student athletes per class for inclusion in our database. By focusing on sophomore and freshman, we provide your process with recruitable talent before competitors. Our Evaluators have all played or coached football in college or in the NFL. By focusing on evaluations full time, we are able to view more players and provide a deeper service that allows your program to identify more potential prospects. Our evaluation staff is always available for discussions and clarifications on prospect evaluations. 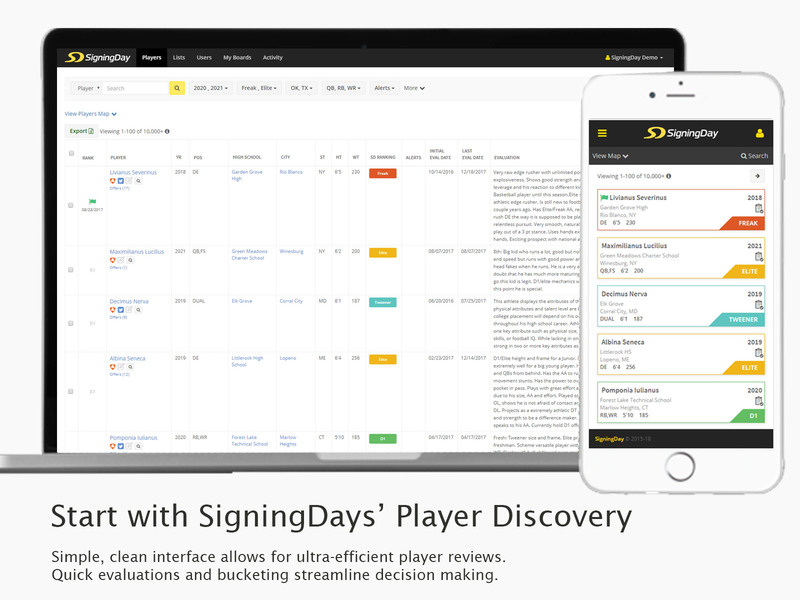 SigningDay data is delivered to your program through our custom built web application that works on any device. Simple, clean interface allows for ultra-efficient player reviews. Quick evaluations and bucketing streamline decision making. 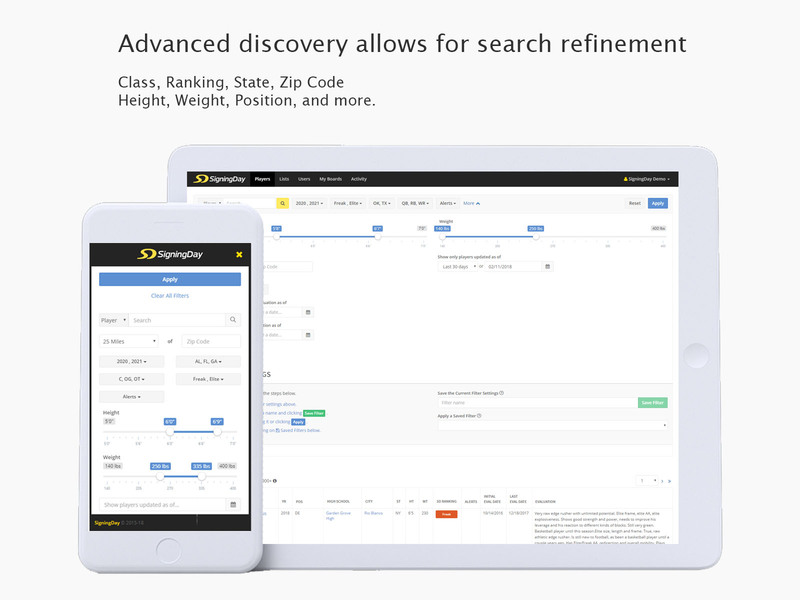 Class, Ranking, State, ZIP Code, Height, Weight, Position, and more. 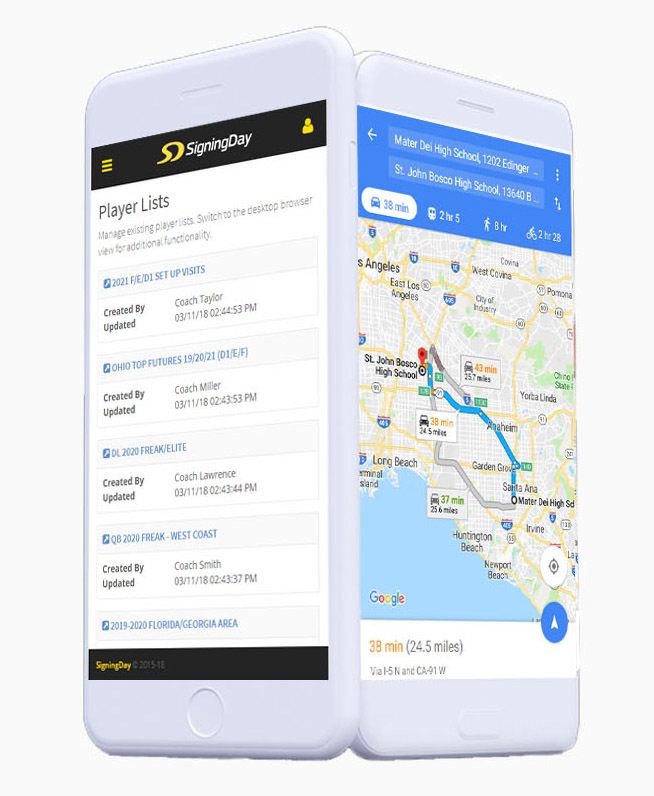 Click on high schools and cities to locate players in specific areas. 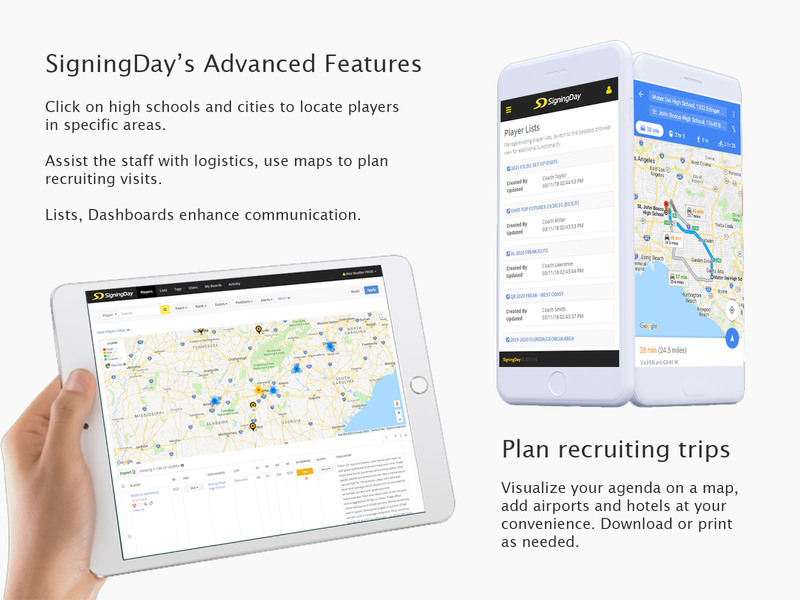 Assist the staff with logistics, use maps to plan recruiting trips. Lists and Dashboards enhance communication. 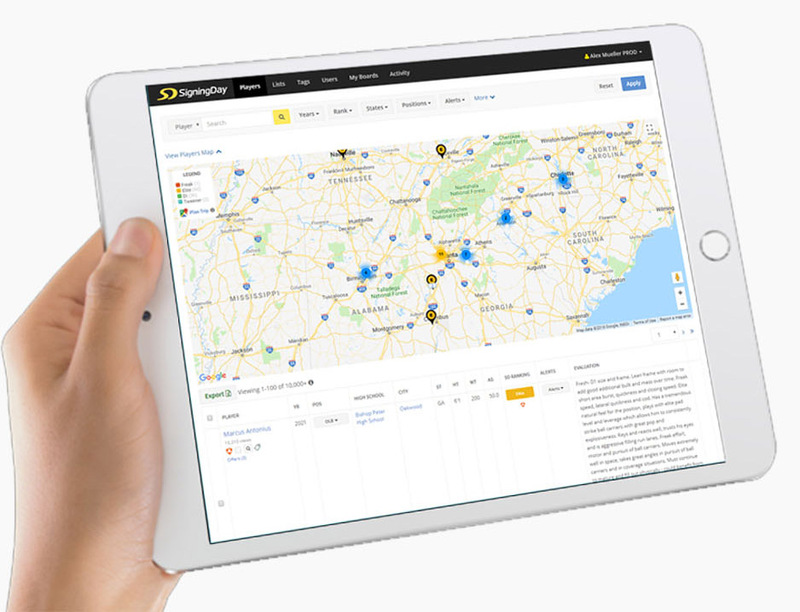 Visualize your agenda on a map, add airports and hotels at your convenience. Download or print as needed.